Congratulations to fourth year student Lucas Johnson for winning the 1st Prize in Photographer’s Forum college division. This series documents the closing days of Sear’s two flagship department stores at Toronto’s Eaton Centre and Yorkdale malls. The image, ‘On this day we broke ground on past ideas’ (2014) references Vladimir Tatlin’s Constructivist project, The Monument to the Third International (1919-20). Tatlin envisioned a tower that would express the aspirations of the new Communist Russian state that was born from the Bolshevik Revolution. The Sears tower, by comparison, signifies the failings of the Capitalist system in a strange inversion of historical context. This early reference in the work led me to photograph Sears and the surrounding malls in a Constructivist mode, looking for discarded objects and people who could be repurposed to build an alternate image of this consumer failure. 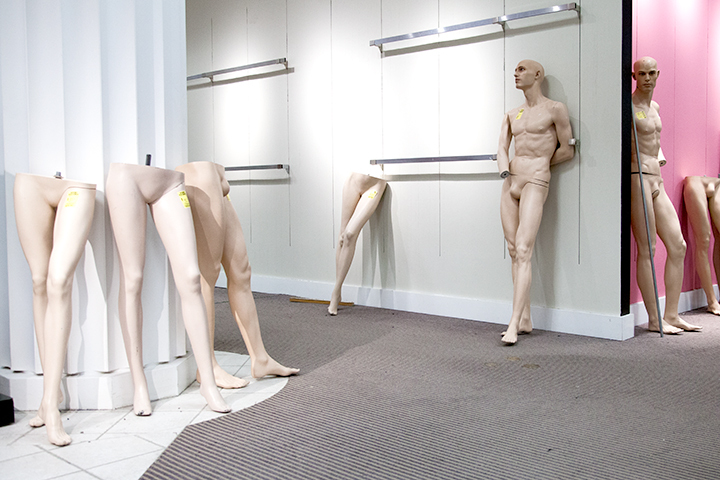 Your Photography Faculty supports OCAD University’s Project 31 auction. Over the past five years, this event has been a tremendous success, raising over $400,000 for OCAD University projects and programs, including student scholarships, awards and bursaries, program materials and equipment, and much more. Over the month of March we will showcase the artworks being donated by OCAD U Photo faculty and alumni. First up is alumni and faculty, Kotama Bouabane! Kotama will be directing the money raised from the sale of his print to 4th year Photography Awards. 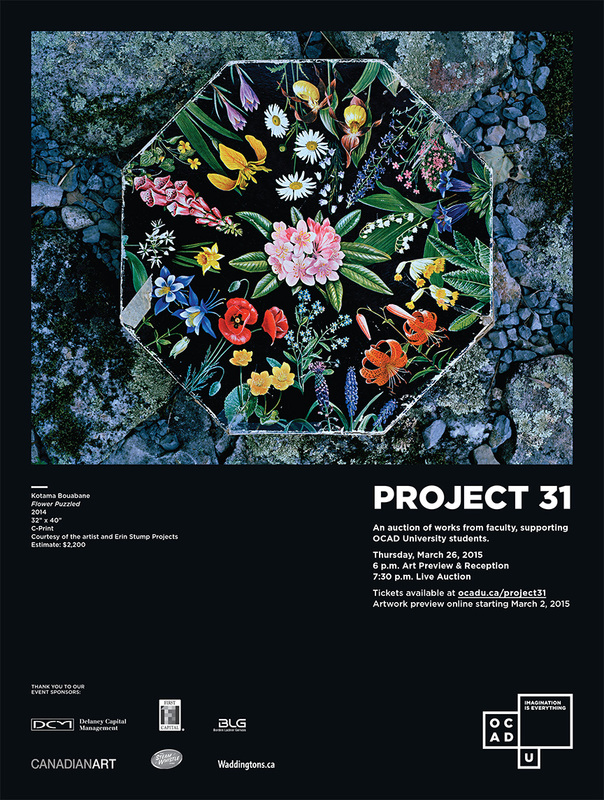 The Project 31 auction will take place at OCAD U on March 26, 2015 and will be a ticketed fundraising event. Work will be on view in the Great Hall as of Monday, March 23rd. But if you are at the school on the evening of the event you can view the auction from the main elevators over looking the great hall with the auction running 7:30 p.m.-9:30 p.m. The Professional Photographers of Canada (PPOC) is a diversified group of creative artists, companies and institutions dedicated to the highest standards in professional imaging. As Canada’s leading professional association for photographers, their mandate is to qualify and support photographers to become industry leaders, and to inform the public of the value in hiring an accredited professional photographer. PPOC holds an annual image Salon, which includes a student salon. In excess of 1000 images will be critiqued by a panel of qualified practicing professional photographers, many of whom are world class trendsetters in the photography industry. This will provide the budding student photographer valuable information and experience to improve upon his/her craft. It also allows the student photographer the opportunity to be considered for a series of Student Awards, to be presented at the PPOC Annual Gala Awards Banquet on April 27th in Niagara Falls, Ontario. Winners of the Student Image Salon will be awarded a certificate acknowledging excellence in photography, a small cash prize ($250 in each of four student categories) as well as have their work displayed in our Gallerie magazine and website. Full-time certificate, degree, or diploma students in photography are invited to participate in the PPOC National Student Image Salon. Please see the attached copy of the rules for your reference. Entries may be made and images uploaded directly through the PPOC website at www.ppoc.ca. Submission deadline is March 4, 2015 at 5 pm EDT, and entries will be judged at Langara College in Vancouver, BC on March 27th and 28th. OCAD U has been invited to participate in The 2015 Aimia | AGO Photography Prize Scholarship Program. This scholarship program invites 16 schools across Canada to propose one representative be considered for a $7000 scholarship. To be eligible, you must be a full-time student going into your final year of study. Submissions will close on March 2nd, 2015. Full details of this opportunity can be found here. Photoshop Frustration? Look No Further! February 23, 2015 / Sarah Ruth Campbell / Comments Off on Photoshop Frustration? Look No Further! Many students at OCAD struggle with mastering Photoshop – and understandably so! While a very powerful tool, Photoshop is also extremely complicated and often difficult to use. There are some alternatives to Photoshop which can help aid you in understanding and having the ability to use it more effectively and efficiently! Photography students are a part of the Laptop Program and thus have access to Photoshop and the Creative Cloud suite, the following programs are not replacements but rather easier ways to help you understand the complexity of Photoshop. 3. Pixlr – This has 3 different options for in-browser editing: Editor, Express, and O-Matic! 4. Paint.NET – Great beginner software than runs for Windows only. Needs a download/install but it’s safe and easy to use! There are a few great courses that OCAD offers to help you with the digital side of art! Courses posted are for the 2014/25 school year and are subject to change for next year! Noon on Feb 25: Submit NOW! 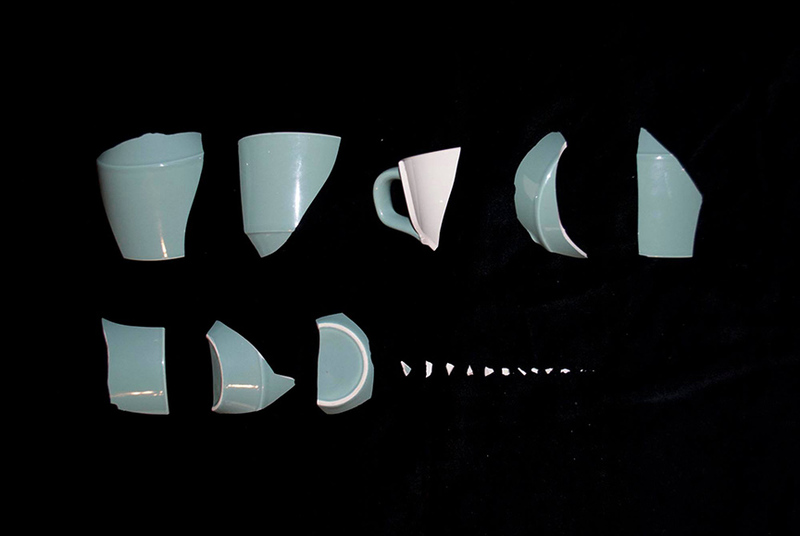 February 20, 2015 / Jennifer Long / Comments Off on Noon on Feb 25: Submit NOW! Wed, Feb 25th at 12 noon is the final deadline for Timeraiser! Last year 3 OCAD U students were selected from the applications. This means they were paid for their artwork, they had their images on display at the Powerplant, their CV was expanded and they received some great press! Not to mention that their artwork helped to raise volunteer hours for non-profit organizations! 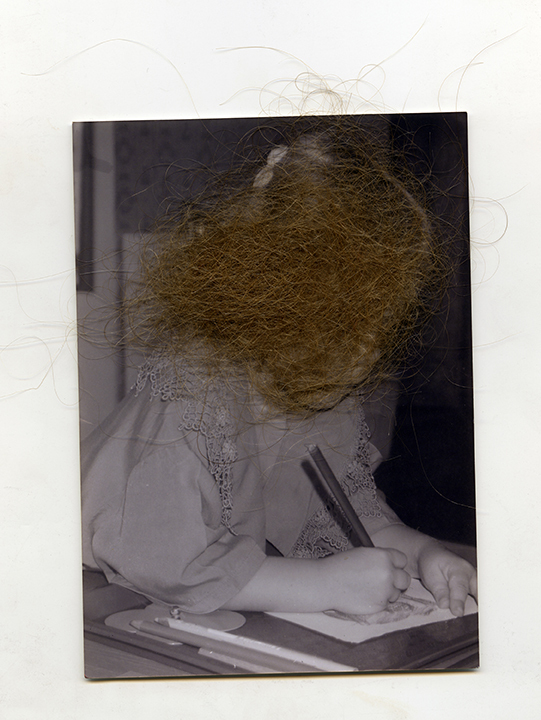 OCAD U Representative in Timeraiser 2014: Carlie Woodworth, “Self-Portrait” from the series “Heirloom Objects”, Inkjet on Matte. 13”x19”, 2014. The LensCulture Portrait Awards is the 2nd annual call for international portrait photography. The importance of portraiture is present in cultures across the world, illustrating the power and endurance of human connection. With over 145 countries represented on LensCulture, in over 15 languages, we’re seeking new global perspectives on the modern day portrait. 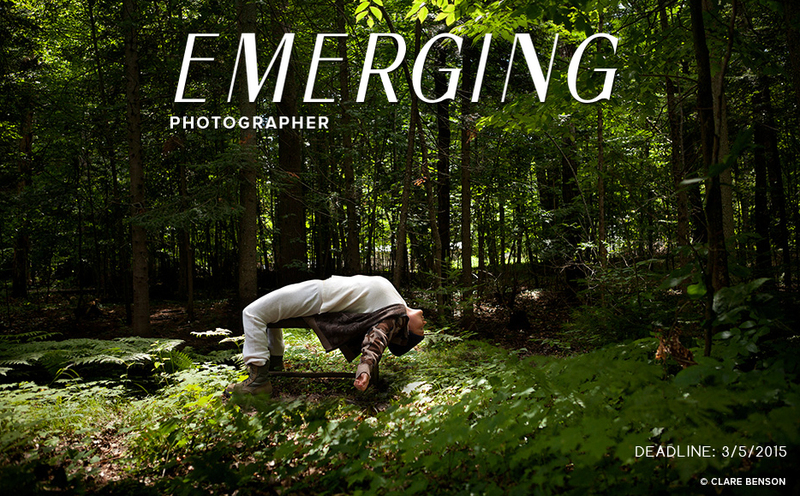 Last fall, Emerging Photographer relaunched as a submission-based magazine, showcasing the work of 11 up-and-coming photographers and a brand-new look. We are now opening up the submission for the next issue, due out in summer 2015. We are looking for photographers with a fresh perspective, compelling imagery, and an insatiable drive to make an impact within the photography community. The featured photographers will be selected by the editors of Emerging Photographer, PDN and RF, and their work will appear in the print issue and in a digital edition.